“Why won’t you say — you’re afraid of the word!” said Stahl. “I reject the word,” said Boehner. Boehner’s colleagues in the United States Congress evidently have as much trouble with the word as he does. The sitting American legislature made such poor progress over the past two years that Washington Post political writer Ezra Klein recently called it one of the worst of all-time. Klein cited an astonishing failure to pass laws (it’s the least productive Congress since World War II), the irresponsible fight over the deficit ceiling (which many experts believe single-handedly dampened the US economic recovery), and an incredible level of partisanship (it’s been measured as the most polarized since 1879). Since the last US presidential election, a number of behavioral studies have offered some insight into effective strategies for compromising. In a 2008 issue of Psychological Science, a research group led by APS Fellow Adam Galinsky of Northwestern University reported that perspective-taking, or seeing the world through another viewpoint, made people better negotiators. The researchers even found that perspective-taking was a more effective strategy than empathy when it came to resolving tricky disagreements. Over a series of three experimental negotiations, Galinsky and colleagues directly compared perspective-taking and empathy as tools of compromise. For one test, the researchers asked 152 participants to play the role of either buyer or seller in the sale of a gas station. The scenario represented a complicated deal because the buyer’s maximum allowed expenditure was less than the seller’s minimum acceptable sale price. There was one optimal agreement in the cards: the seller could accept a lower price for the station in exchange for future monetary considerations, such as a guarantee of employment by the new owner. Of course, reaching this deal required considerable compromise by both sides. Prior to the negotiation, the researchers told half the buyers to focus on the “feelings” and “emotions” of the seller (the empathy group) and the other half to consider what the seller was “thinking” (the perspective-taking group). Galinsky and colleagues discovered that perspective takers were much more effective in striking a compromise. Roughly 76 percent of this group reached the ideal conclusion compared to only 54 percent of empathizers. Other tests confirmed the finding. In one negotiation over the terms of employment, perspective takers were again able to achieve strong outcomes for both sides, while empathizers produced deals that hurt their own interests. “The current research suggests that in mixed-motive interactions, it is better to ‘think for’ than to ‘feel for’ one’s adversaries — more beneficial to get inside their heads than to have them inside one’s own heart,” the authors conclude. The power of perspective has applications that extend far beyond the partisan bickering of American politics. Turns out you don’t have to be naturally fair-minded to consider the opposing viewpoint. In some universal negotiation settings, even gentle reminders about the concept of perspective taking are enough to mitigate the problems of a selfish mindset, according to research published in a 2011 issue of the Journal of Personality and Social Psychology. An international group of psychological scientists, led by Roman Trötschel of the University of Trier in Germany, recently gathered a coed sample of participants for an experimental negotiation that simulated a divorce settlement. The objective was to determine an equitable distribution for nine items, such as a couch and a television, of varying importance ratings. The participants got credit for agreeing on an item but not for reaching an impasse. Before the 15-minute negotiation, Trötschel and colleagues told half of the participants to be egoistic — that is, to work toward the best personal outcome. But some of these egoistic negotiators were also told to consider “the other party’s perspective” during the deal. After the session, the researchers found that egoistic participants who used this perspective-taking strategy had fewer impasses than those who did not. They also ended up with higher-quality group outcomes. Studies also show it’s helpful to arrive at the bargaining table with the expectation of success. A couple years ago, another international team of scientists — Israeli researchers Varda Liberman and Nicholas Anderson of the Interdisciplinary Center Herzliya, and APS William James Fellow Lee Ross of Stanford University — arranged an experimental negotiation between Israeli participants and a Palestinian research confederate. They found that positive expectations influenced agreements even among parties with a history of distrust. For the study, participants were asked to negotiate the funding allocation for a security fence between Israeli and Palestinian communities. Before the bargaining session, some were told simply to do their best to reach an agreement, while others were told that every other team of negotiators had been able to achieve a compromise. The individual who they were negotiating with was an Arab research confederate who was instructed to offer the same proposals in every case, thereby making the participant’s expectation the key variable. The confederate opened with a proposal that favored the Palestinians 60-40, saying the fence would cause them more inconvenience than it would the Israelis. The test participants then made a counteroffer, which was then followed by a final proposal from the confederate that put the funding split at roughly 56-44. The negotiations were “quite heated,” according to the researchers, who found that many Israelis tried to continue negotiating even after the proposal session had ended. Despite the intensity of the negotiations, a positive outlook toward compromise made a significant difference in their success. 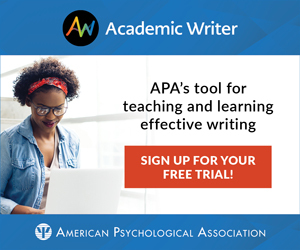 Roughly 82 percent of participants with positive expectations accepted the final offer, compared to only 34 percent in the control group, the researchers reported in a 2010 issue of the Journal of Experimental Social Psychology. The positive group also gave friendlier ratings to their counterparts in post-experimental surveys. 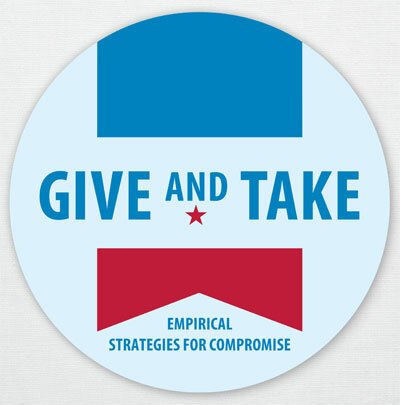 So strategies for compromise in general — and political compromise in particular — clearly exist. The problem American lawmakers face right now is implementing them in the face of a legislative body that’s growing increasingly partisan. A research team led by Leaf Van Boven of the University of Colorado Boulder recently found that as American political views become more extreme, people generally believe others to be more polarized as well. Van Boven and colleagues asked a representative sample of 1,000 Americans how they felt toward the candidates during the run-up to the 2008 presidential election. Those who expressed adamant support for either John McCain or Barack Obama tended to think others felt as strongly as they did, compared to those who expressed only moderate support. The findings suggest that as partisanship increases, people may adopt “confrontational and defensive” positions the authors wrote in a 2012 issue of the Journal of Personality and Social Psychology. Such extreme stances would appear far less conducive to the powers of perspective-taking or positive expectations than more moderate attitudes. Haidt traces some of the dysfunction back to 1995. Before that time, lawmakers routinely brought their families to Washington. Spouses and children formed social bonds that crossed party lines, and these bipartisan friendships rubbed off on the legislators themselves. But when incoming House Speaker Newt Gingrich encouraged politicians to leave their families behind, it became more difficult for them to embrace alternative perspectives. The good news is that political players might not be as far apart in viewpoint as they think. A 2006 study published in Psychological Science, found that people with ties to a political party exaggerated the differences in core values they had with their political opponents. Neutral study participants, however, thought the parties were more similar than did party members, demonstrating that strong beliefs can blind people to the fact that political adversaries often feel strongly about the same things. Ultimately, the science shows that underneath all the bickering over words like compromise, there might actually be some hope of achieving it.